With its video push, Apple rows gently down the stream. Here’s how it can keep up with the competition. So, you want to build a streaming service. At this point, the evidence that Apple is jumping into streaming is incontrovertible. You don’t pony up a boatload of cash for the likes of Steven Spielberg and not build a streaming service. Nor do you just shove that into Apple Music, a platform which has proved to be only half-baked when it comes to streaming video. No, this kind of $1 billion investment seems to call for a major revision to infrastructure as well. This is a serious investment, and so of course Apple’s going to want to be serious about how it builds a service. So, let’s take a look at what’s critical in such an endeavor. Here’s the thing: Apple’s already got all the ingredients for a successful streaming service. It’s got massive data centers, it’s used to delivering huge amounts of content, and it has tons of deployed devices in the mobile and living room spaces. In some ways, the only surprise is that Apple has waited this long to deploy a service—all it seemingly lacked was the will to do so. But, as with music, the company took a very purchase-oriented approach to video at first. The late Steve Jobs famously said that nobody wanted to rent their music—streaming audio services have proved that wrong. People are plenty happy to rent music, assuming that the system doesn’t unduly hamper them in the enjoyment of that music by putting onerous restrictions on where, when, and how they can listen. And, as in music, purchasing digital video has been losing ground to streaming. 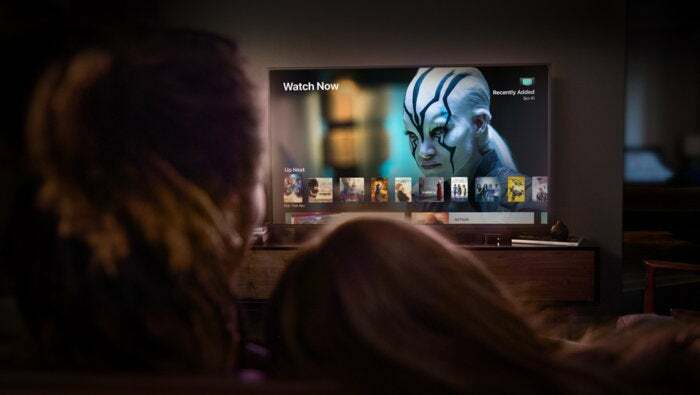 You need look no further than the recent launch of Movies Anywhere to see that the content producers are finally trying to make buying digital movies work the way they always should have. That’s because streaming is eating their lunch. Meanwhile, Apple is watching all the companies raking down money from video streaming and realizing that it too can have a piece of the pie—if it’s willing to invest. And that’s led us to where we are today. Now that it seems pretty certain an Apple streaming service is in our future, the question is only what such a service looks like. Some of this we can make educated guesses about, based on the company’s experience with Apple Music. There will probably be single user and family options. There will likely be a free three-month trial to get people accustomed to using the service. And it will almost certainly be tightly integrated with Apple’s existing video options. But it makes perfect sense when you imagine [the TV app] as the distribution point for Apple’s upcoming in-house content. The company may not have conclusively won the battle for Input 1 in the living room, but if screenshots of the new TV app are any indication, it’s aiming to have spot number one on your Apple TV’s home screen. That app will be a prominent place to feature all of Apple’s upcoming series, easily surfacing them for viewers who want to watch them as well as anyone who hasn’t heard about them yet. I strongly believe that Apple’s video content will live, and of course be prominently featured, in the TV app. Not only does it already have a spot on Apple’s platforms, but it’s also been integrated with users’ existing library of videos from iTunes. More to the point, putting video anywhere else would be a bit of a head-scratcher, as Apple has worked to promote the TV app as a one-stop shop for your video content. Besides Apple’s own push into original content, there remains a question of what else an Apple streaming video service might contain. Of the many pieces of original content the company is going to be developing, not all are going to be ready when Apple wants to launch the service—nor should they be, since Apple’s not going to want to dump them all at once. So it’s likely that catalog will need to be filled out with content from other sources. Which brings us back around to the long-running idea of an Apple streaming television service. Look, I have to believe that the bottom has fallen out of the à-la-carte-TV-episode market. With Netflix, Hulu, and everybody and their dog offering some sort of streaming option, very few people are likely to pony up the cost to buy a full season of TV. (At least in the U.S., where such things are broadly available.) If Apple can strike a deal for streaming of current TV, I think that would be appealing—if it can’t, then the company’s going to have to rely on a back catalog of TV shows. And, if this is truly a serve with serialized content, it’s going to need at least some TV shows—especially in this current climate of Peak TV. Apple’s already made huge strides in pushing forward digital music, but video has always been a tricky proposition for the company, for the simple reason that it doesn’t seem to care as much about TV and movies as it does about music. The hiring of key personnel to handle the content side of the business has made strides in that direction, but Apple’s got to tap into that same passion if it’s going to sell its customers on this service.